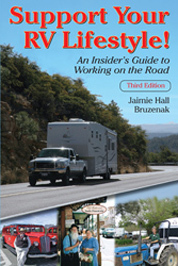 The following books, dvds, and videos on RVing have one thing in common: I've read (or watched) and learned from them. I think they're great and worth recommending. In some cases I also know the author personally. So, if you buy and disagree, please let me know. They all come with my personal recommendation! You can build your own dream camper van, using the fuel-efficient, powerful Mercedes Sprinter van, at a fraction of the price of commercial Sprinter RV conversions. 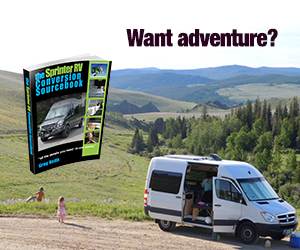 Greg's 378-page e-book, the Sprinter RV Conversion Sourcebook will help you create your dream Sprinter camper. If you're looking for a factory-built Sprinter RV instead, Greg's 338-page e-book, the 2016 Sprinter RV Buyers Guide. will help you find the ideal Sprinter RV to suit your needs. Each guide is a perfect "in a nutshell" state-by-state list. Accurate, dependable information and honest opinions based on personal experience. Exactly what we've come to expect from the renowned RVer, author, and editor of The Gypsy Journal. 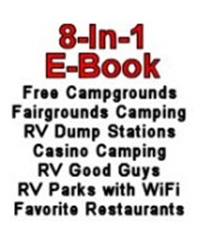 The eighth guide (not shown above) is Hitching Posts - campground ratings across the country, based on value for money. Each ebook sells separately for $7.50, making the 8-pack a real bargain at $24.95. Click here for more information or to order these ebooks! 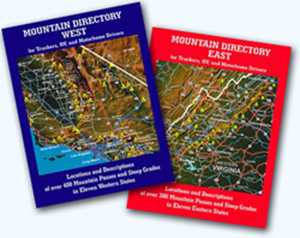 Two excellent resources: Mountain Directory West and Mountain Directory East. Each contains maps showing the location of grades and detailed information about them, including the height of the summit, length and steepness of grades, severity of curves, location of escape ramps, and signage. An invaluable resource to help RVers and truckers plan their route and stay safe on the road. Click here for more information orto order these ebooks! "RV Canada - A Series of Four Books"
Barb's books are based on the adventures, stories, and memories that she and her husband continue to collect as they travel by RV in Canada. 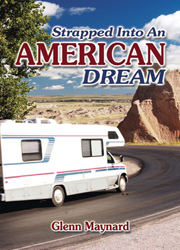 They have mastered the art of frugal RV travel and Barb writes with passion about the lifestyle they've chosen. 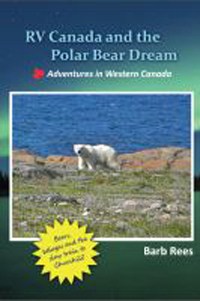 Her four book titles include RV Canada on a Dime and a Dream, RV Canada with Boo the Menopausal Van, RV Canada's Far North on a Dream, and RV Canada and the Polar Bear Dream. A fifth book is scheduled for release in 2014. Click here for more information or to order any of these books! 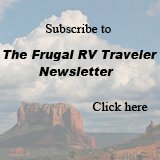 "How To Hit The Road -- Making Your Family's Full-Time RV Dreams A Reality"
Kimberley and her family are living proof that you do not have to be rich or retired to take your family on the ultimate adventure; You just need a plan and here it is: The only resource specifically for FAMILIES who want to full-time RV. Click here for more information or to order this e-book! 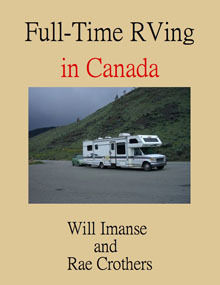 Two accomplished Canadian writers with years of full-timing experience have teamed up to write the guide Canadian RVers have been waiting for. Is it feasable, as a Canadian, to be a full-time RVer? The answer is a resounding, "yes" but the "how tos" are very different for Canadians than Americans. A lot of research went into this book. Don't leave your sticks and bricks home behind without it! 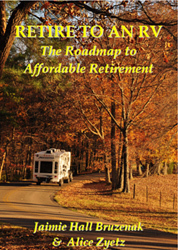 "Retire To An RV "
Extremely helpful, comprehensive, guide to living in an RV full or part time. Lots of money saving advice, backed up by real-life stories and experiences of other full-timing RVers. Most highly recommended! Also available in print! Click here to for more information or to order the print copy! "Support Your RV Lifestyle "
A resource for finding jobs and income-generating opportunities while traveling in an RV. Jaimie started traveling full-time long before retirement so her advice is from years of personal experience. Most highly recommended! 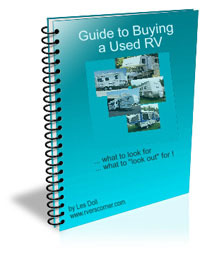 "Guide To Buying A Used RV -What To Look For And What To Look Out For"
What's RVing, without an RV? There has never been a better time to get a deal on a used RV. Still, for some, this purchase can be a scary thought. You need to know what to look for. No matter what size or style of RV you have in mind, trust Les Doll, a working Certified RV technician, with years of RV construction and maintenance experience to give you advice on what to look for before you make this exciting purchase. "Strapped Into An American Dream"
Travel with Glenn and his new bride through 23 National Parks, Las Vegas, Mardi Gras, and dusty ghost towns. Feel the rushing wind of tornadoes and the rocking of an earthquake. Sleep on roadsides and in truck stops, shifting from state to state, risking danger in favor of a limited bank account. Anyone RVing will relate to and enjoy this most delightful and entertaining read! Click here for more information or to order this book!